Front entrance of the hands-on zoo. Close encounters with various animals like snakes, lizards and alligators are a creepy idea. Definitely, an idea that will give goose bumps at the least to the faint hearted like me. However, one who’s keen for a close encounter as well as a personal touch of these sleeky and scaly creatures will give the thumbs up for it. Encounters with living, ferocious and wild creatures can be done in a forestry enclave west of city of Gosford. 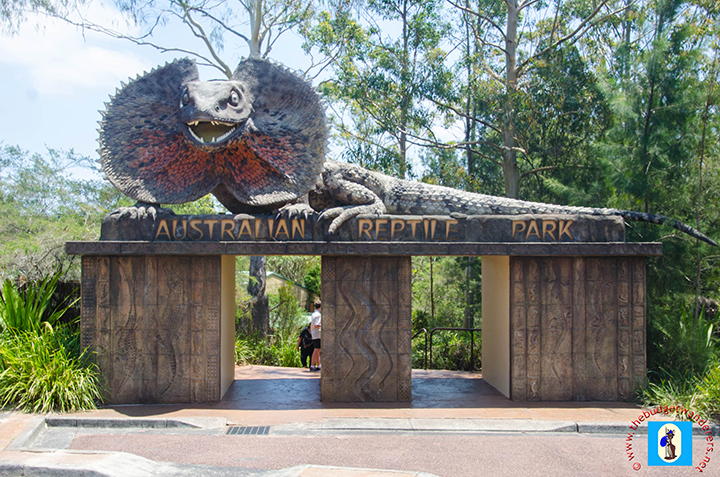 This park, known as the Australian Reptile Park is situated in the suburb of Somersby, a few kilometres away from the CBD of Gosford and about 75 kilometres north of Sydney. Getting in to this park will bring you to lush forestry and mountainous ranges as one passes through the Pacific Motorway. This view provides a glimpse of the secluded ‘jungle’ of the reptilian park. 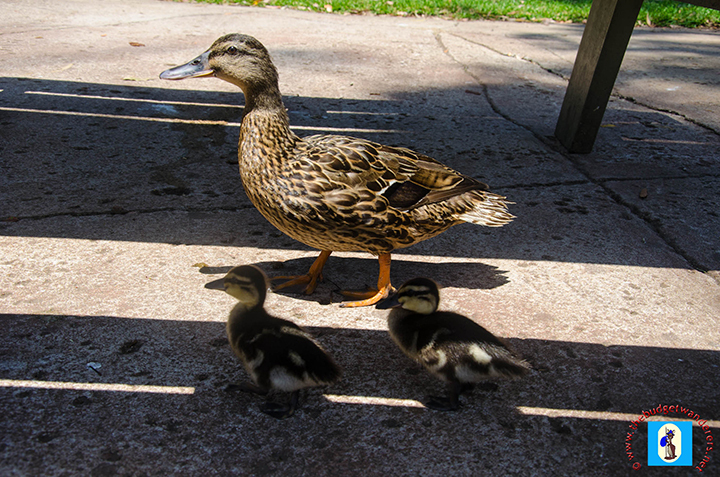 A mother duck and its ducklings freely roaming around the parkland. 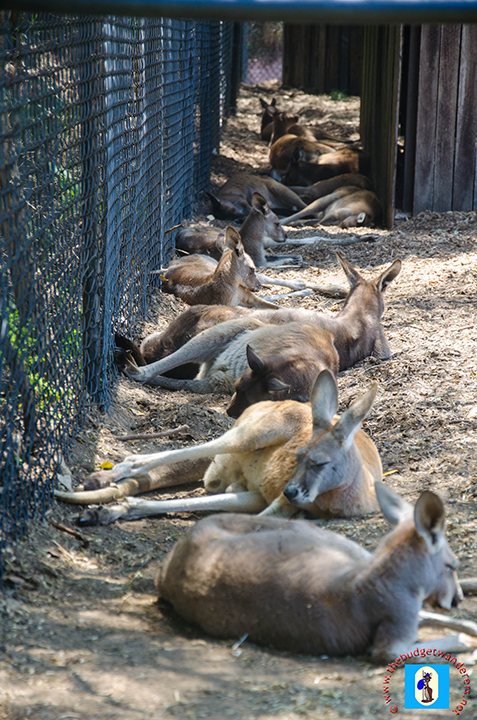 A group of resting kangaroos. Once inside the ‘hands-on zoo’, you’ll notice wanderings emus and kangaroos grazing along the spacious parkland. Families and their children roaming with them resembling a friendlier, less scary environment. 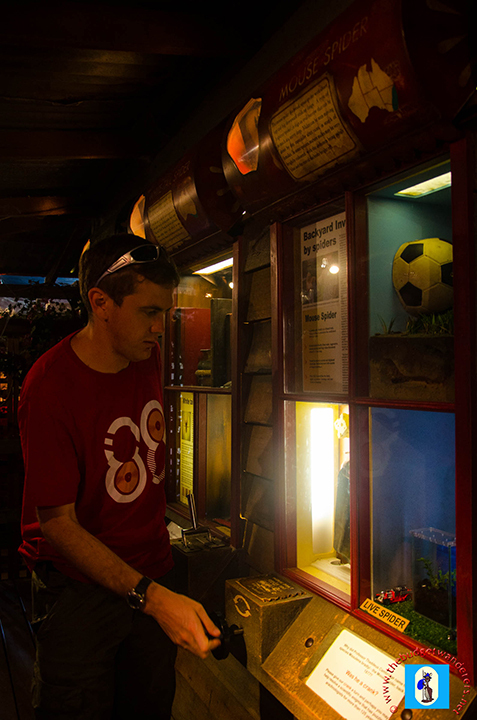 Around the park are numerous enclosures like the Egyptian-themed ‘Lost World of Reptiles’, the interactive ‘Spider World’, and the pitch-black environs of the ‘Nocturnal House’. Most of which provides a glimpse of various creatures – small and large, venomous and cute. 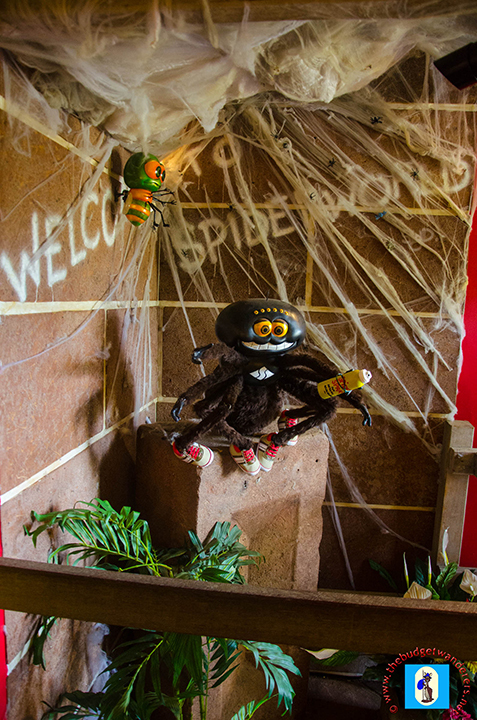 Entrance to the ‘Spider World’. 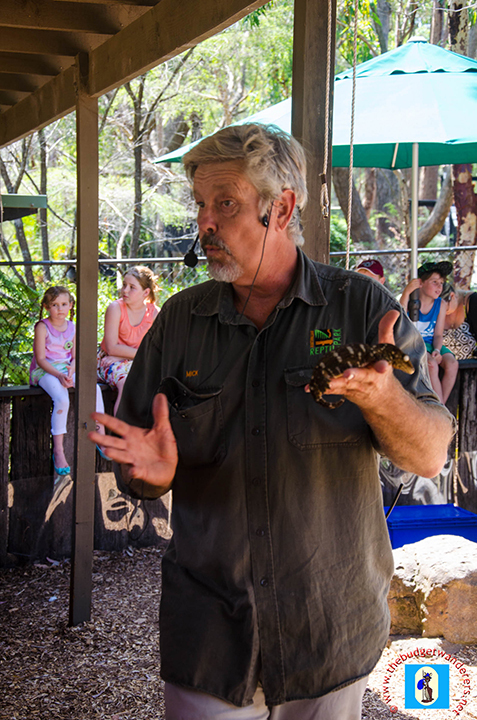 Australian Reptilian Park also delivers educational shows for the young and not so young, providing a greater understanding of the creatures around us in a more jovial talk that puts laughter in amongst the audience faces. A talk about the gecko and its gripping abilities. Another educational show about cuddly wombats. 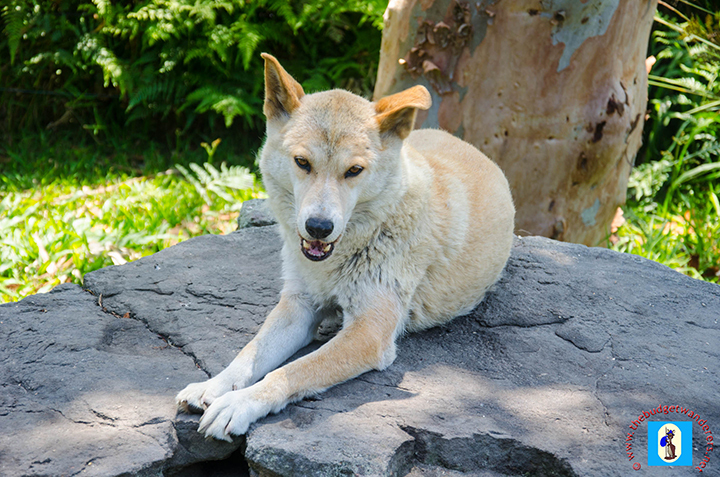 This zoo is one great opportunity not just for photos, but an experience to learn the various local and foreign animals that roam our world in a closer and more personal way. Sail-fin lizard dinosaur with sharp claws that helps in climbing trees and attacking preys. 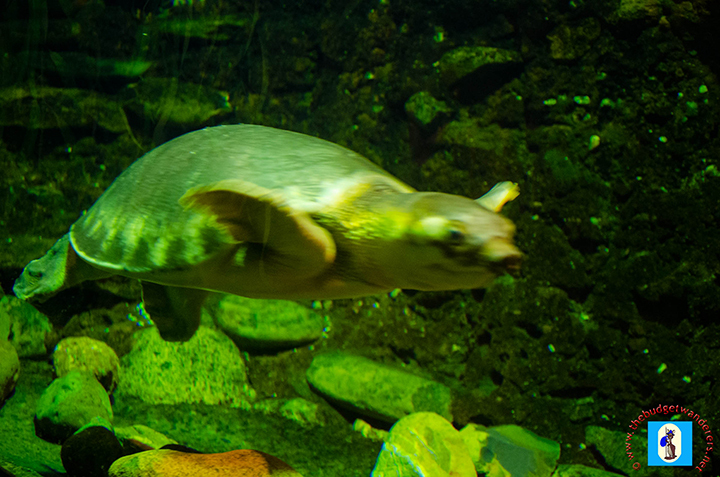 A pig nosed turtle swimming freely in its enclosure. 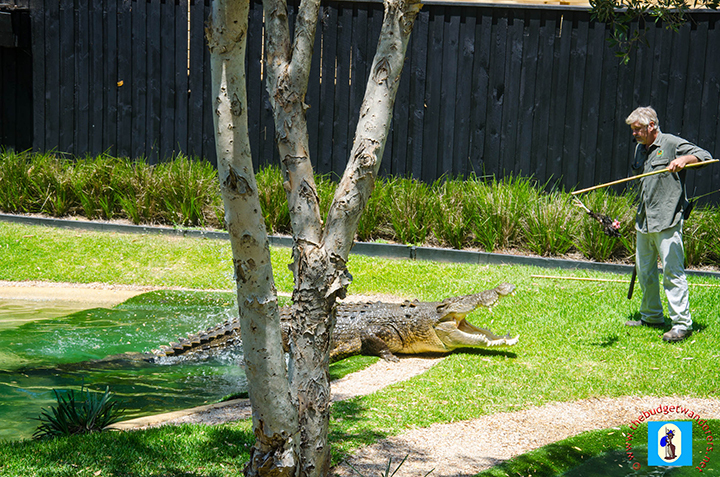 Australian Reptile Park is open daily from 9 am until 5 pm. For more information of the zoo, visit their website here. Top 10 things the BudgetWanderers liked about the zoo. 1. Emus, kangaroos and other fowls roaming the wide grassed space in the middle of the park. 2. Opportunities to see endangered and unique animals from around the world. Notable amongst them is the platypus and the giant Galapagos tortoise. 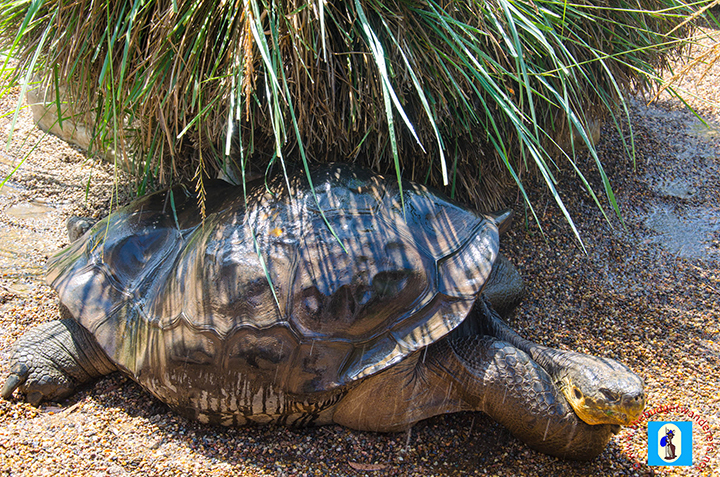 The Galapagos tortoise, which is one of its endangered species in their collections. 3. 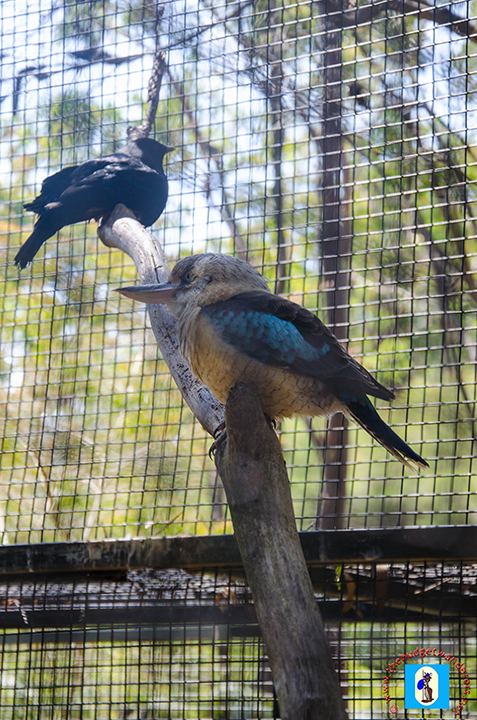 Aviaries that lets visitors to be in the same enclosure with the different birds. 4. 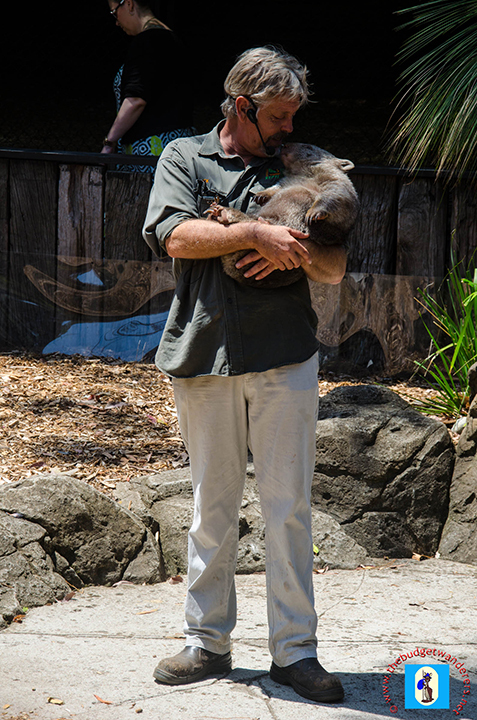 Photo opportunities with koalas, alligators, a python and wombats. 6. Amusing themes of every area of the zoo. 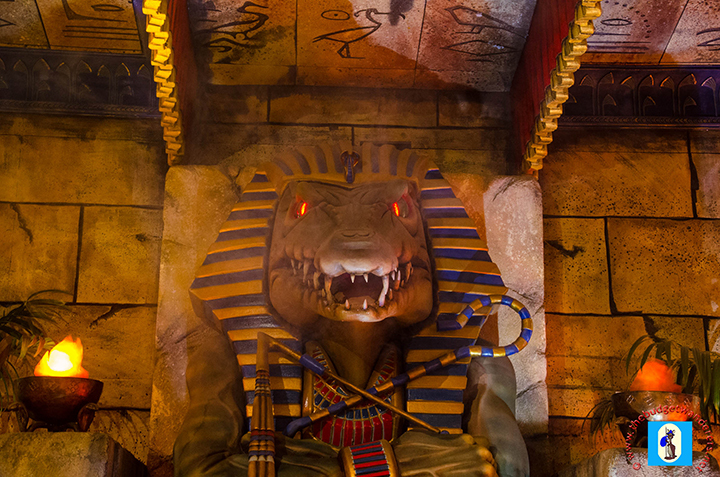 Egyptian-themed enclosure of the ‘Lost World of Reptiles’. 7. Perfect getaway for family bonding and educational tours for animal lovers. 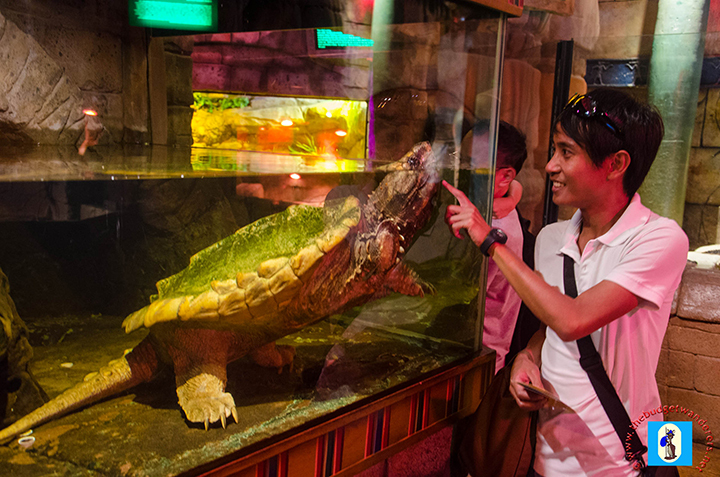 A large turtle known as the Alligator Snapping Turtle. 9. Lively educational shows for all ages. 10. 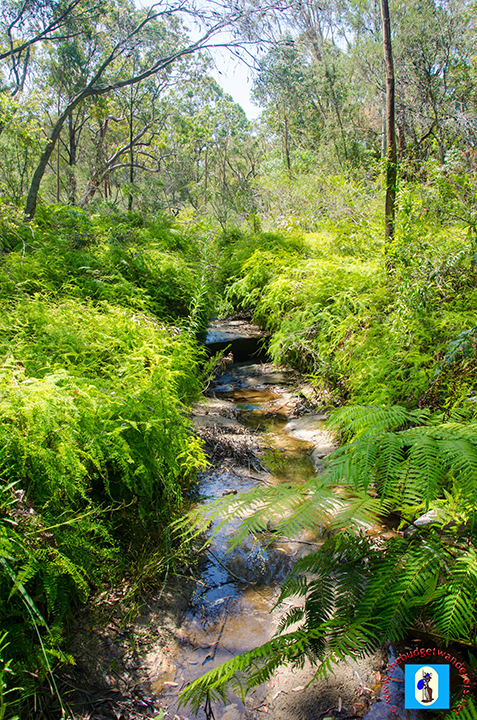 Relaxing landscapes and bushwalks. Your photos are amazing. Thanks for sharing them. I’d love to bring my kids in this place in the future. We visited the Australian Reptile Park a few years ago with our children and I agree that it is a great day out! Thanks for sharing the story and photos of your visit. It’s been AGES since I went to the park … but it looks like the lizard out the front is still the same!!! It also looks like it’s still a fascinating spot!! 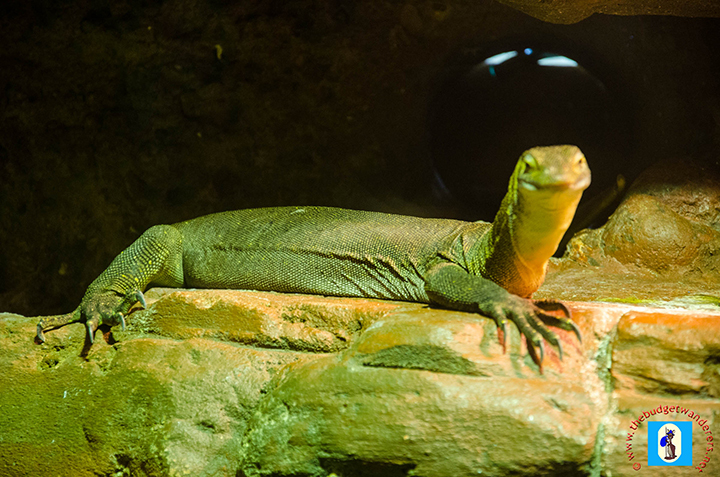 It’s great to find out about this australian reptile park close to Sydney. A great tip for first time travellers to Australia who are eager to make a close encounter with the australian wildlife.